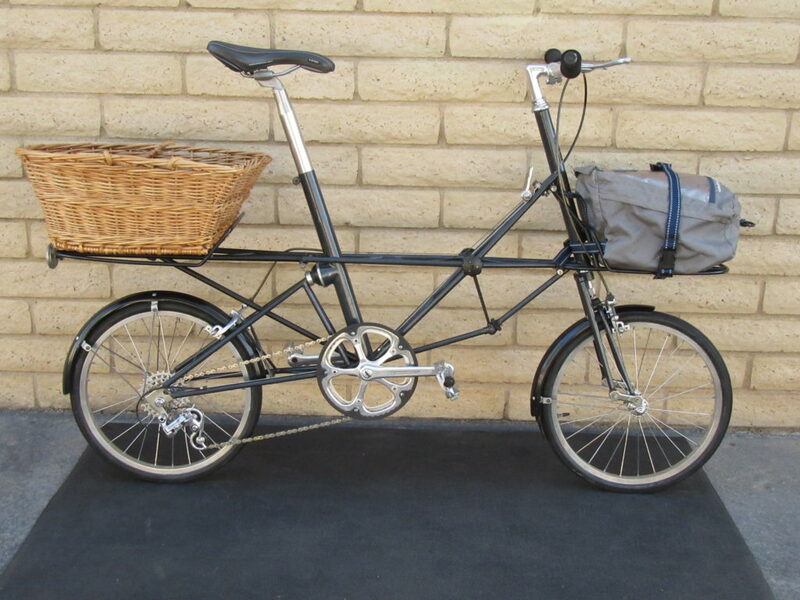 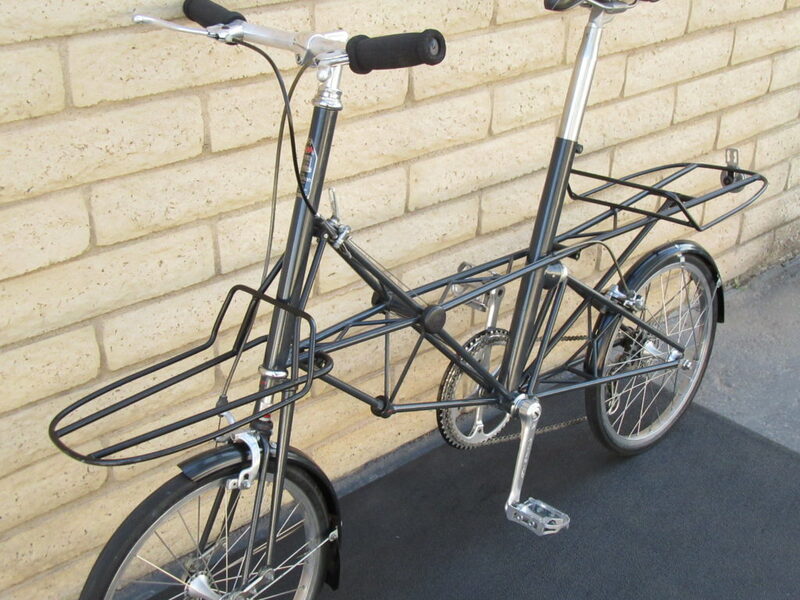 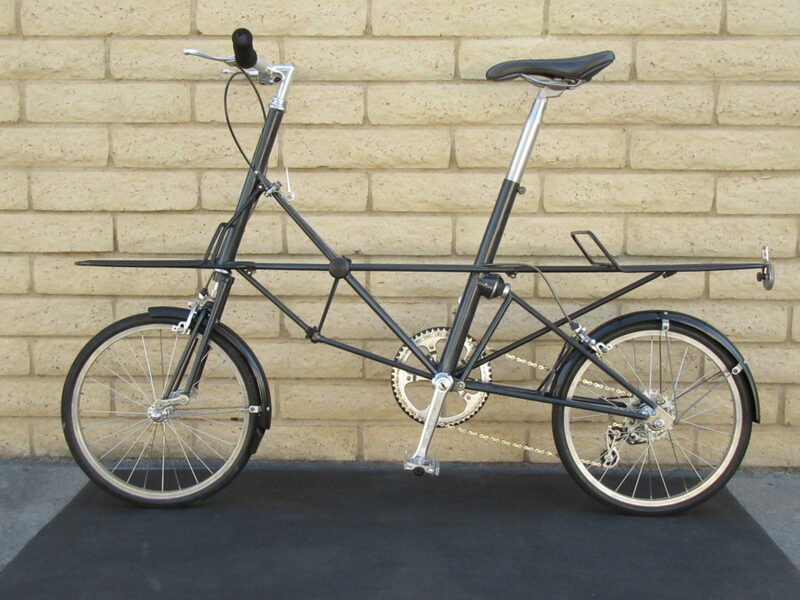 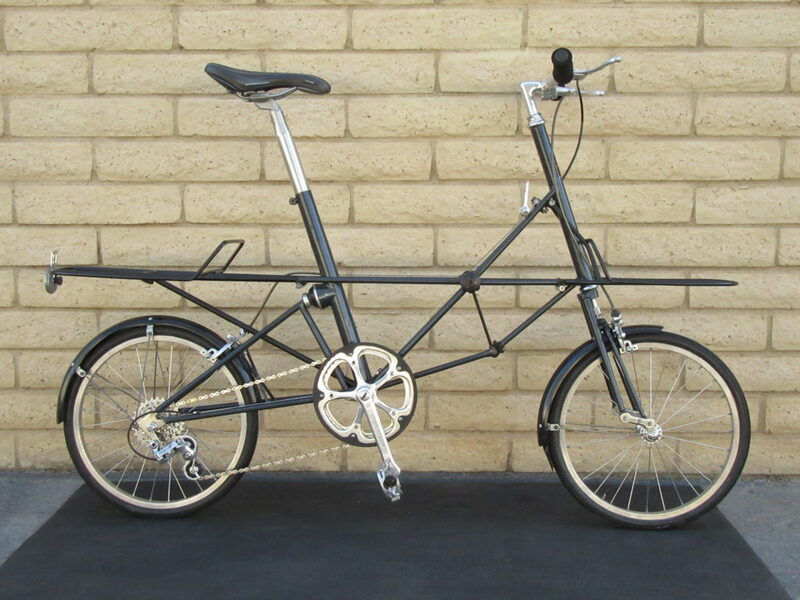 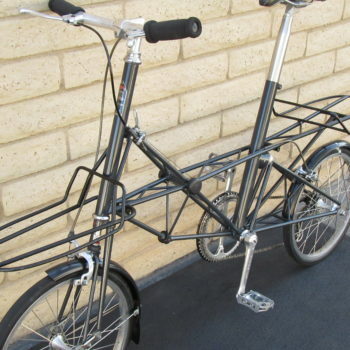 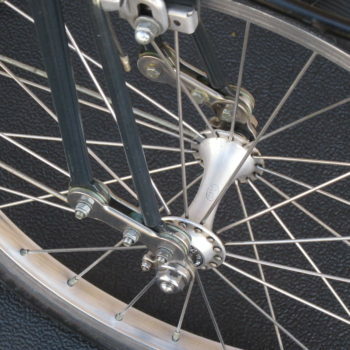 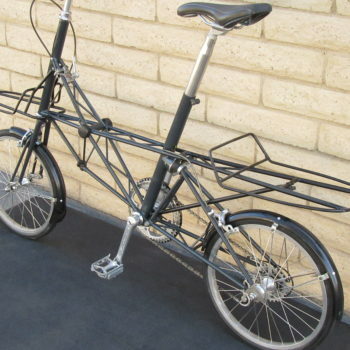 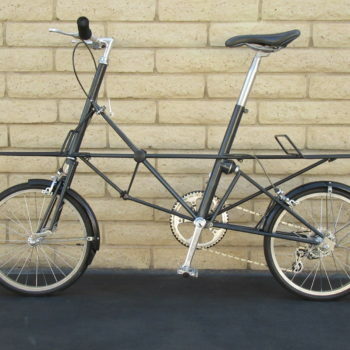 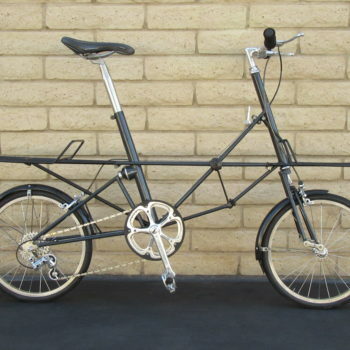 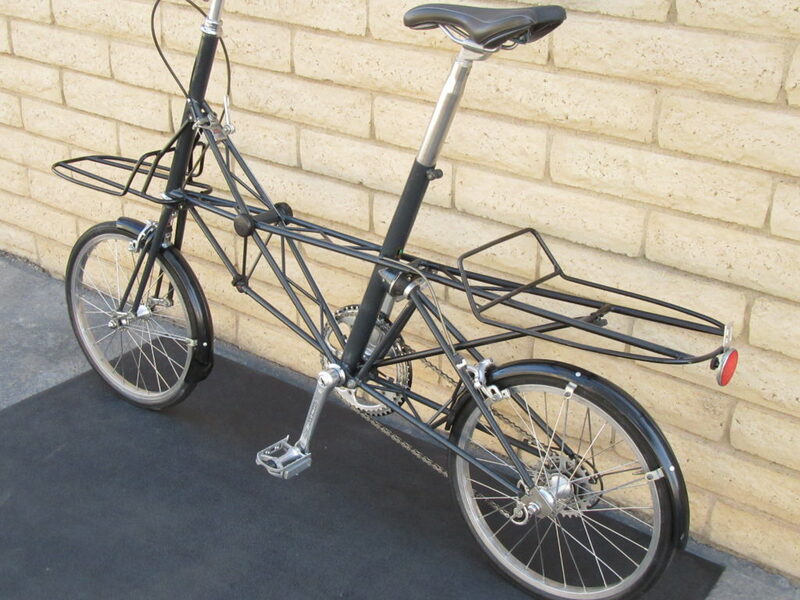 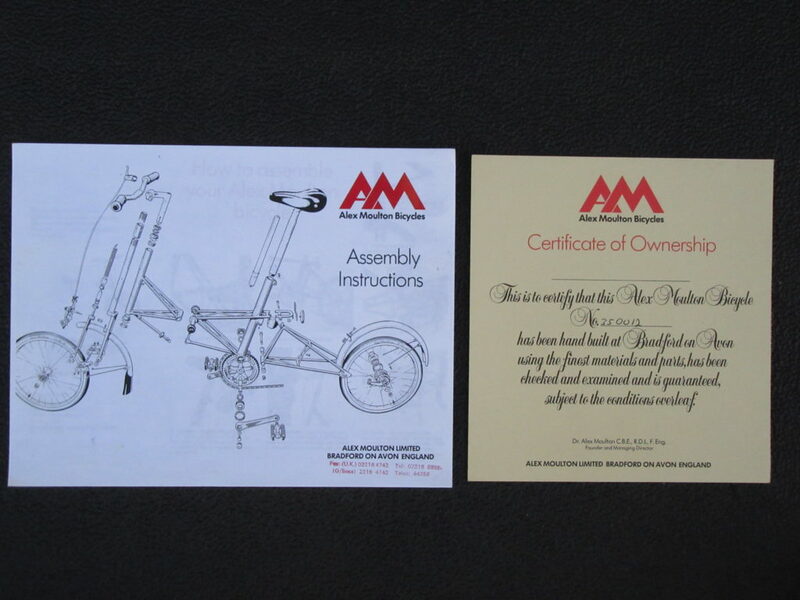 The Moulton AM-2 and AM-7 were first produced in 1983. 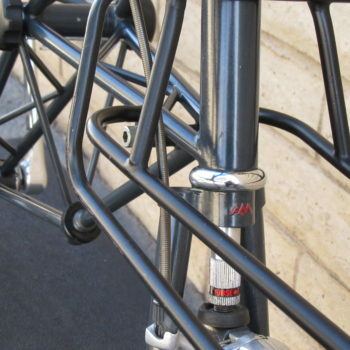 This is an original AM-7 made in that first year of production. 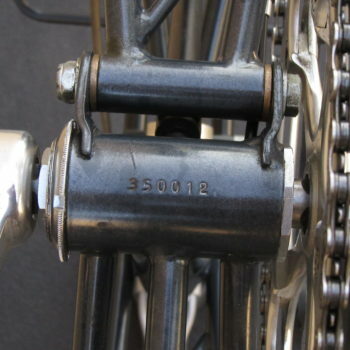 Serial number is 350012, which means it’s the 12th bike made in the 50th week of 1983. 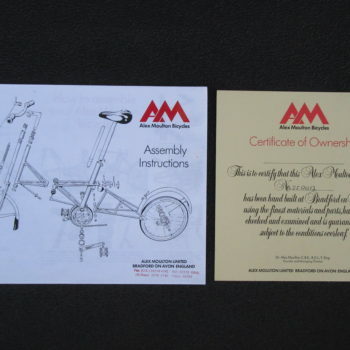 We are the second owner. 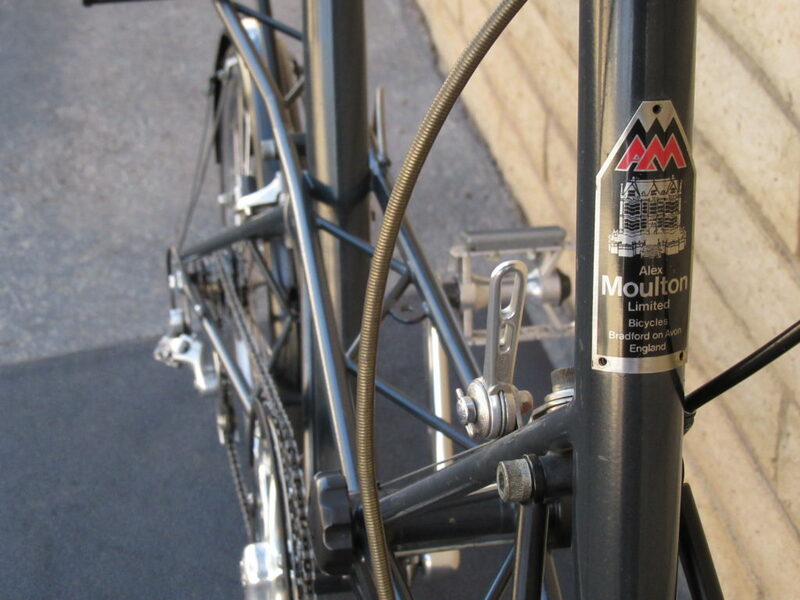 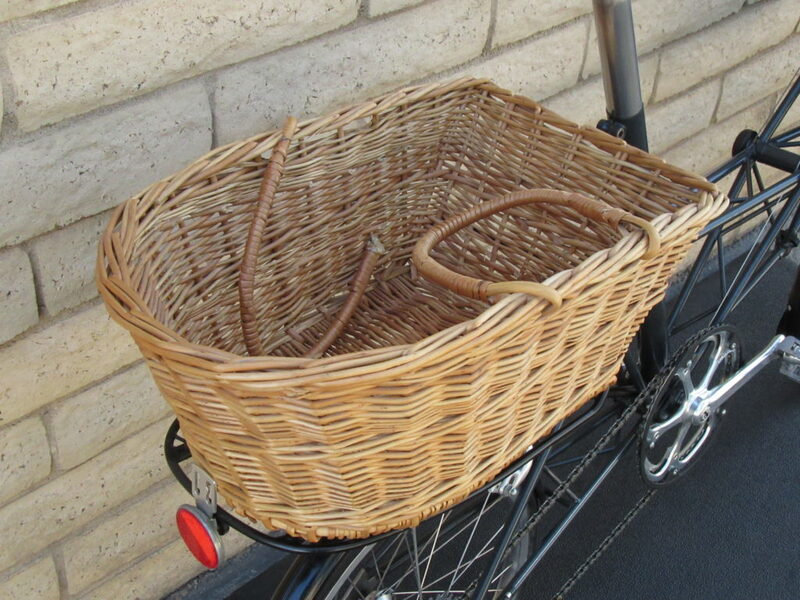 Once purchased, the bike was cleaned and tuned-up by a mechanic familiar with Moultons. 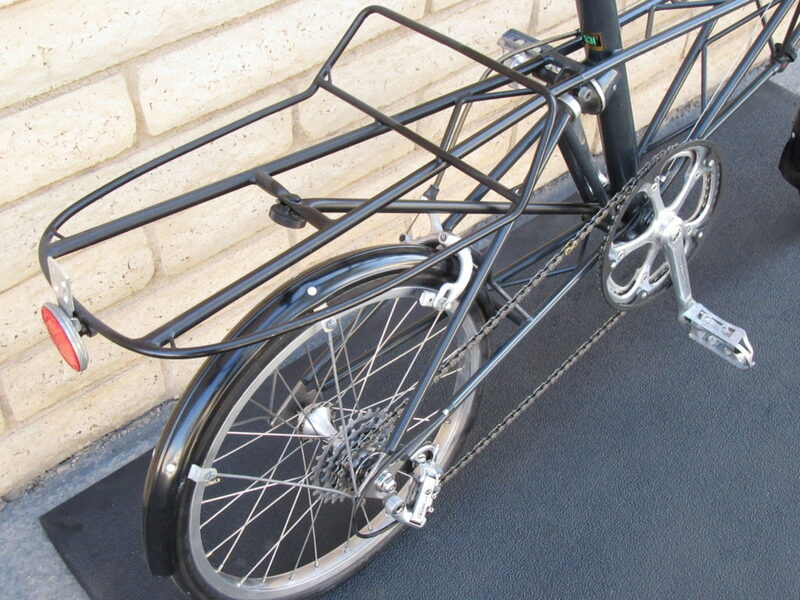 Though completely road-worthy, this bike was set up simply as a display and conversation piece for the bike shop, and never ridden. 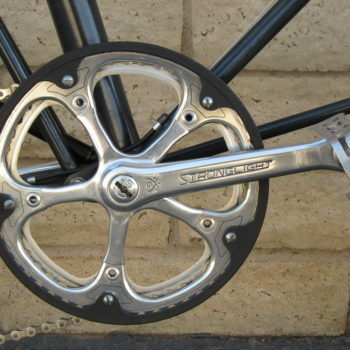 The bike is all original except for a new chain, quill stem, saddle, and a second chainring added to the crankset, finger shifted. 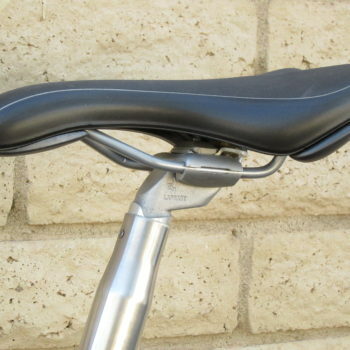 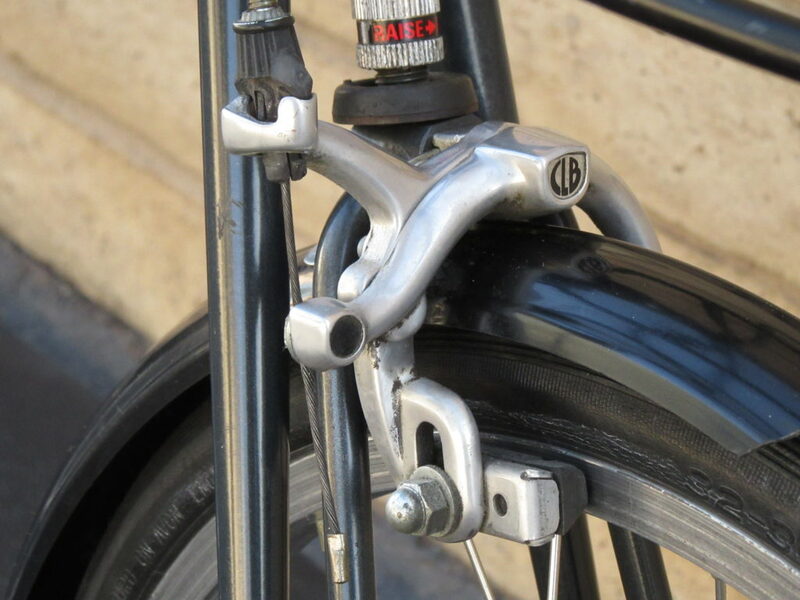 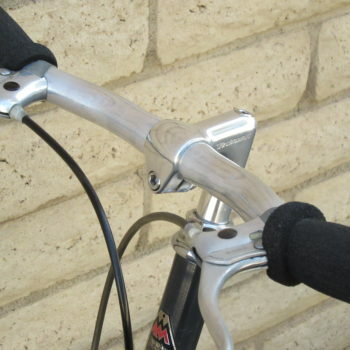 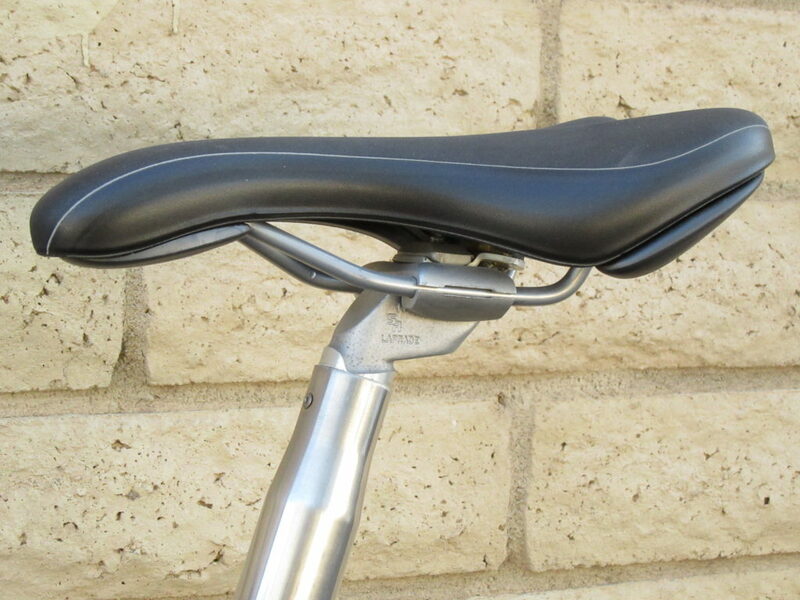 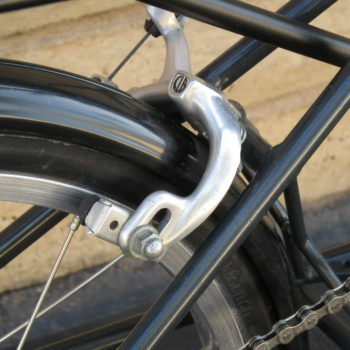 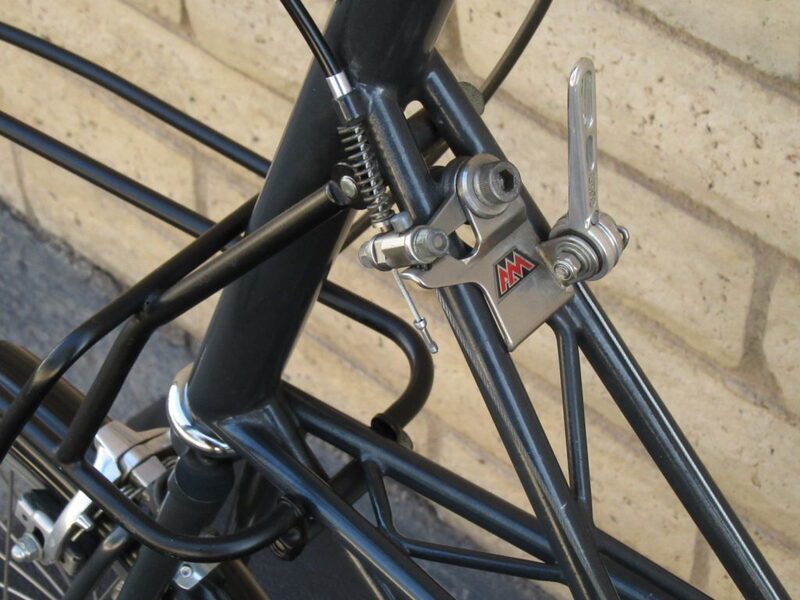 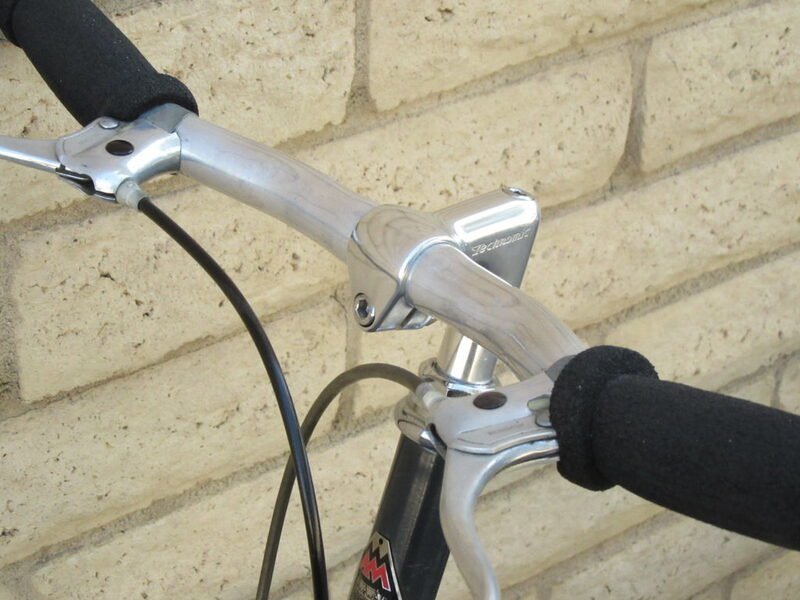 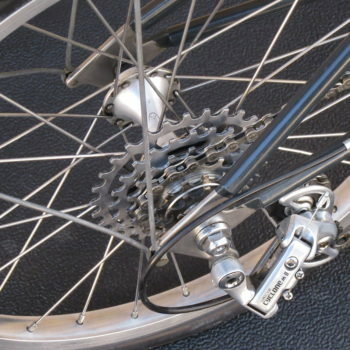 It’s assumed that it was ordered with flat handlebars by the original owner since the AM-7 usually was equipped with drop-bars. 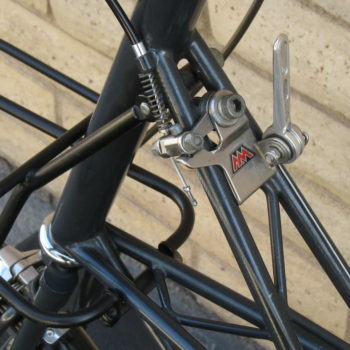 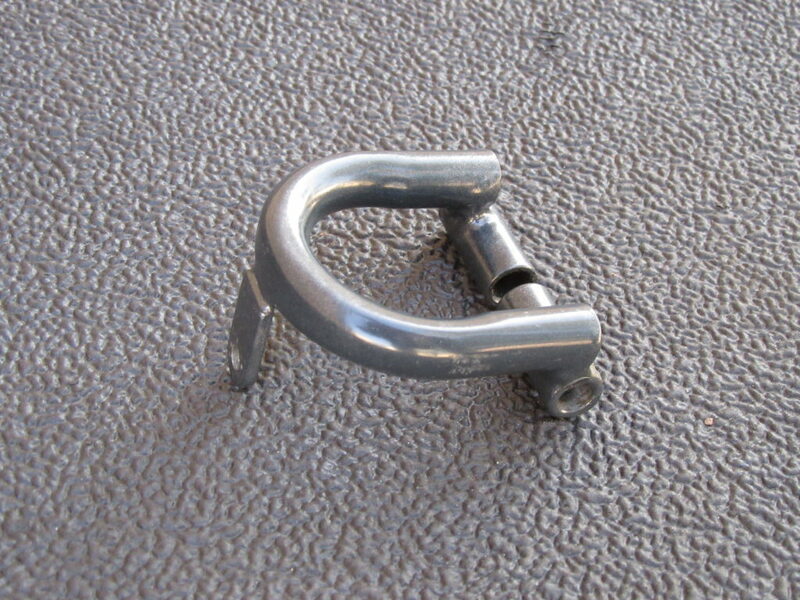 The flat bars are the make and model that came with the AM-2; narrow GB alloy. 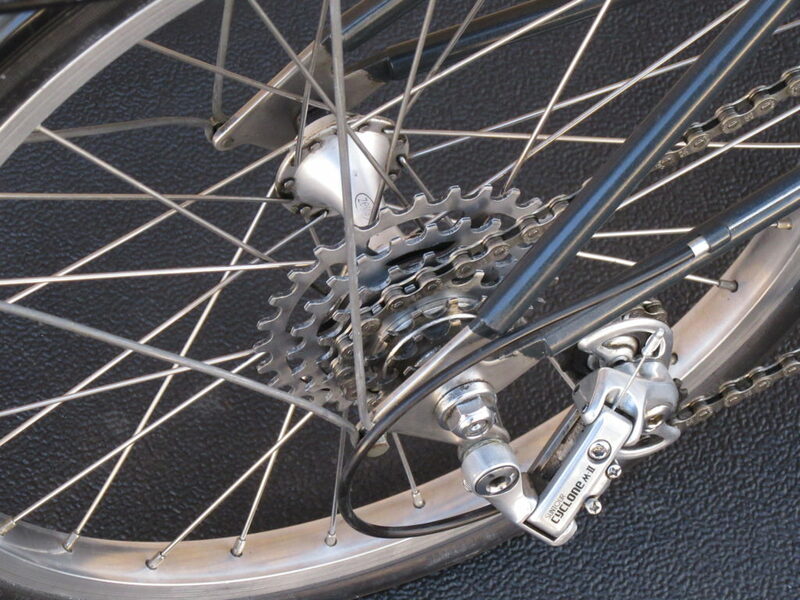 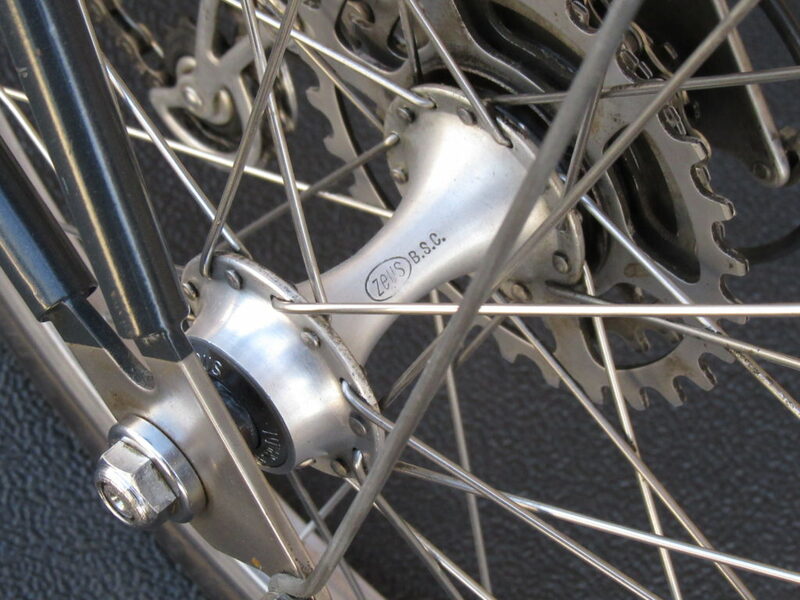 Original Steely Grey paint, a tough oven-baked polyester powder coating. 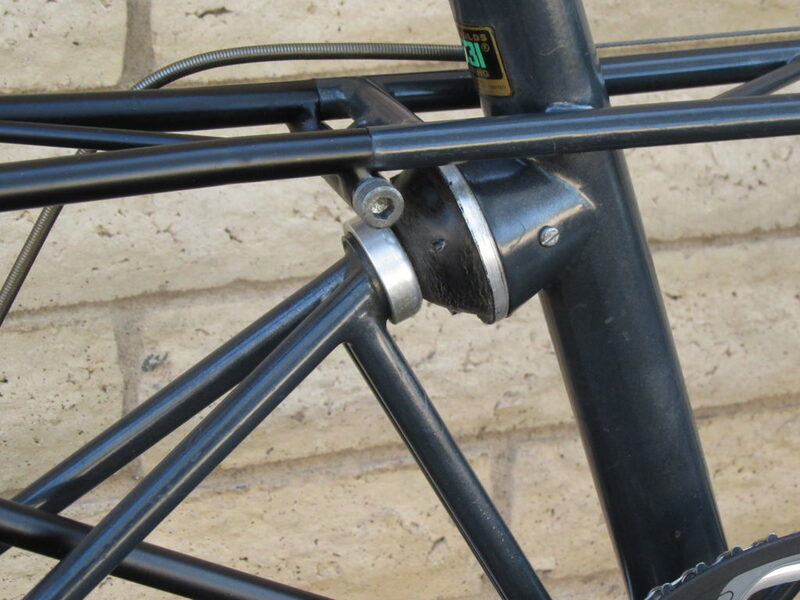 Finish has only a few minor scuffs and scratches. 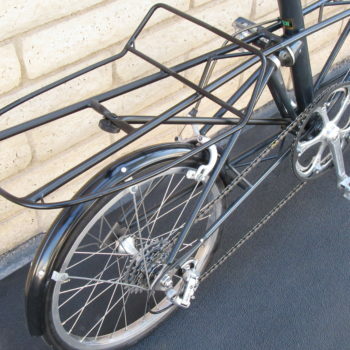 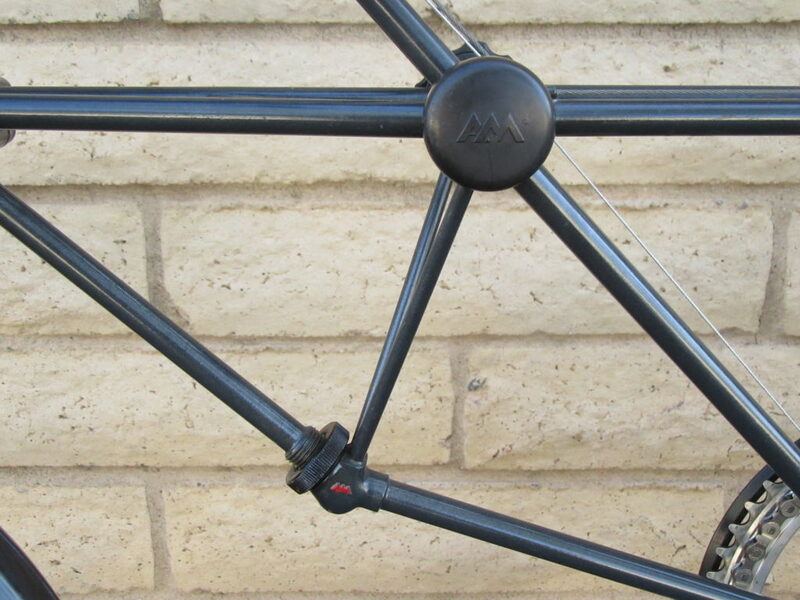 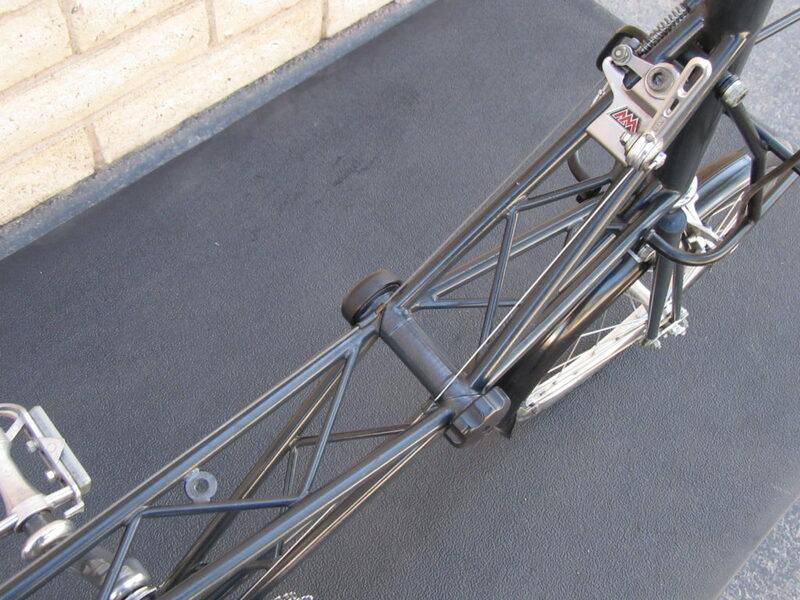 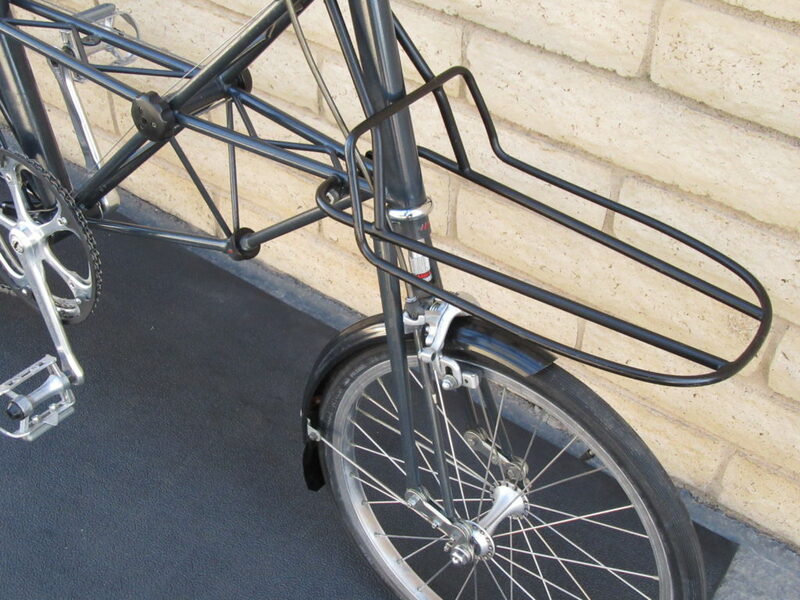 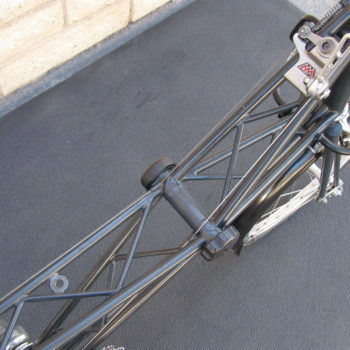 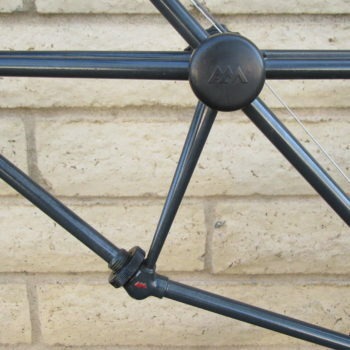 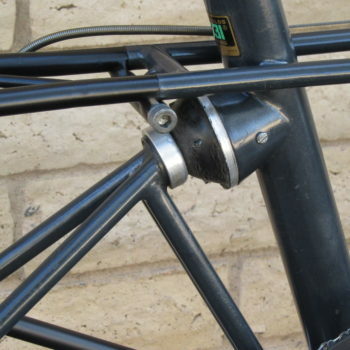 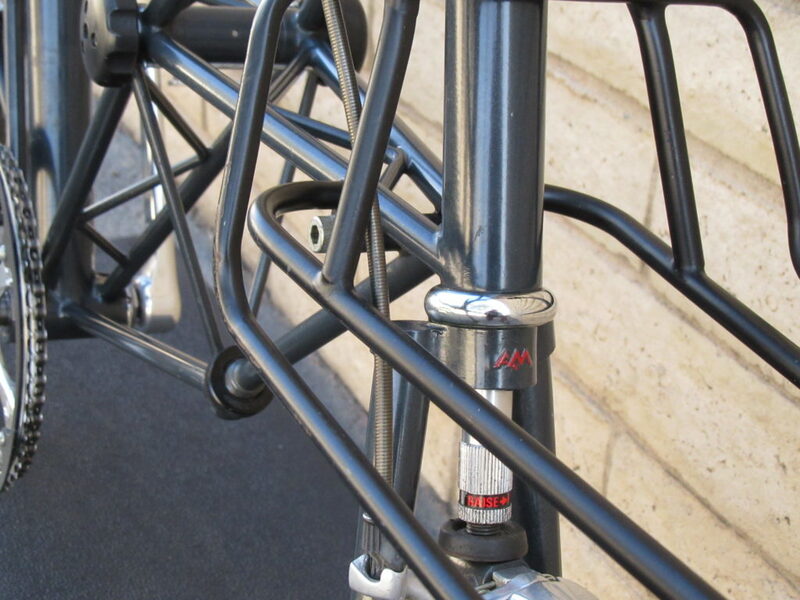 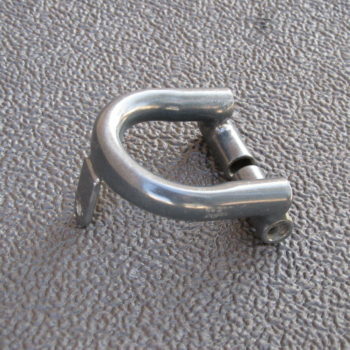 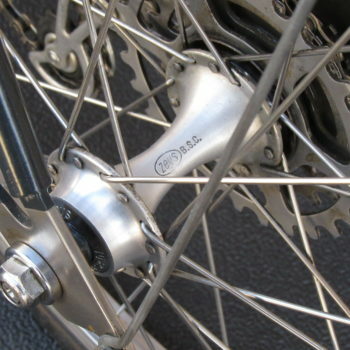 Separable steel spaceframe made of Reynolds 531 tubing. 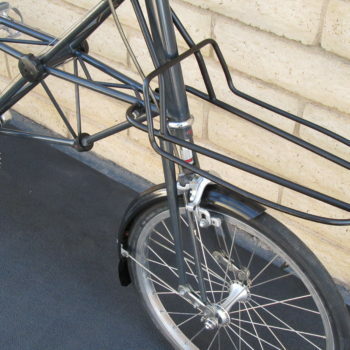 The frame is in excellent condition with no dents or structural issues. 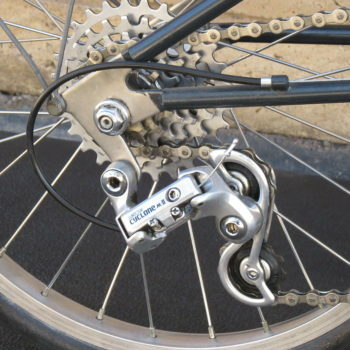 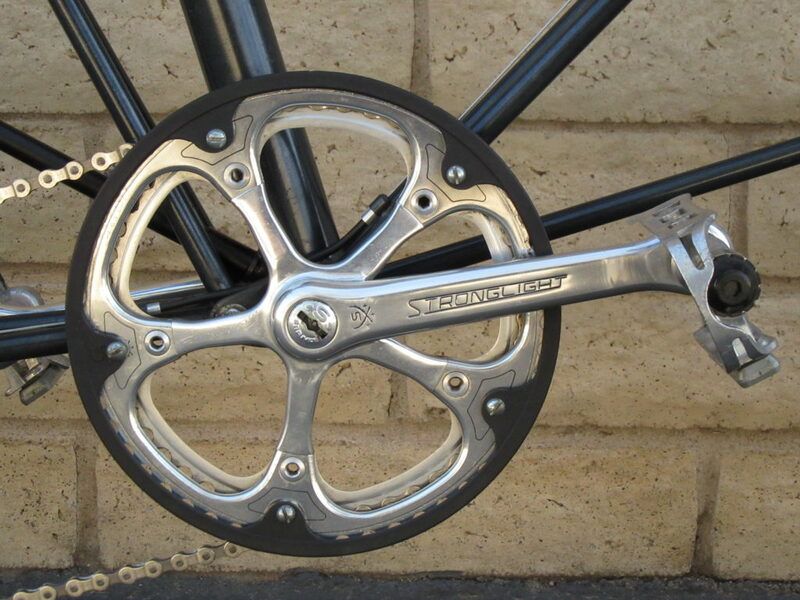 Stronglight 103 crankset, Regina CX 7-speed freewheel 9-28t, Lyotard 82 alloy quill pedals, Sun Tour M-II rear derailluer and short-arm shifter, Zeus Of Spain B.S.O. 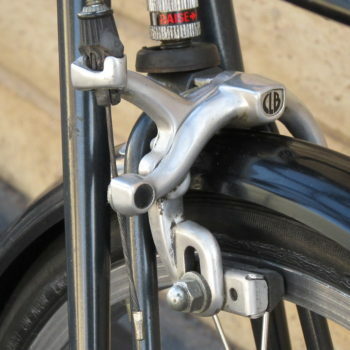 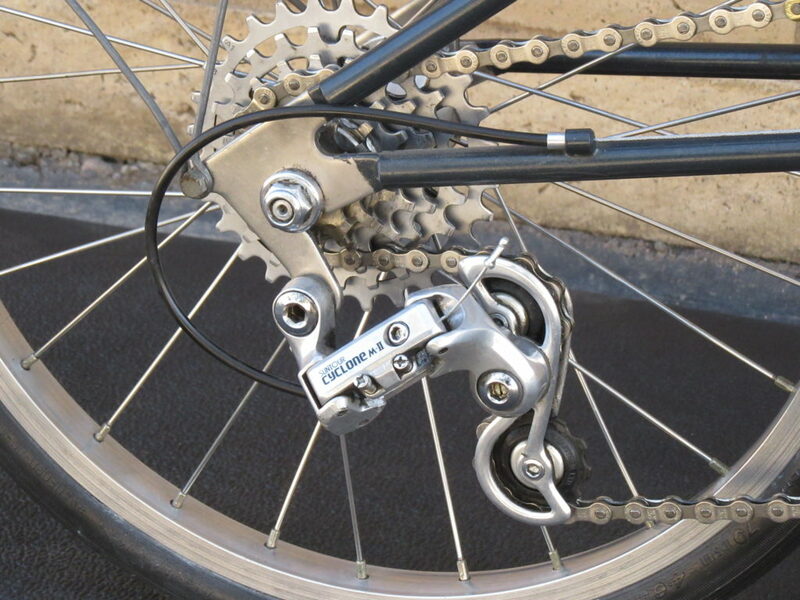 front and rear hubs, Weinmann brake levers with CLB caliper brakes, Campagnolo Record headset. 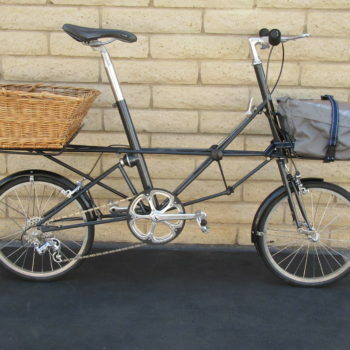 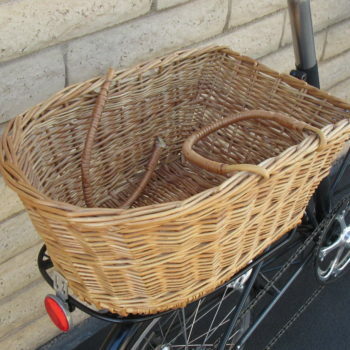 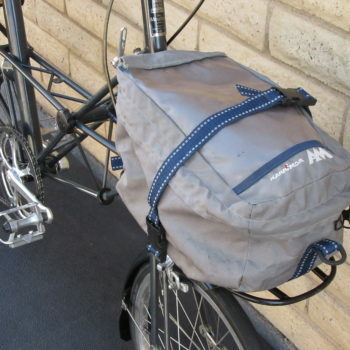 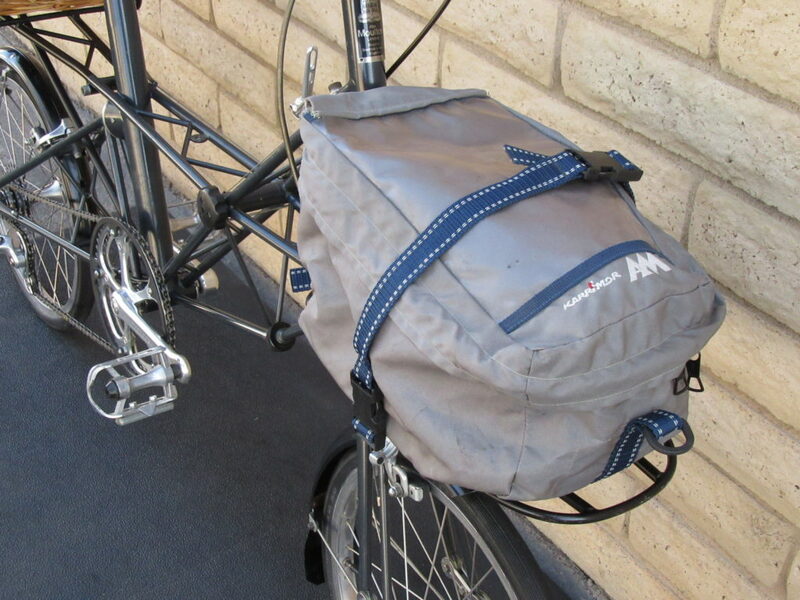 Bike comes complete with original Alex Moulton branded Wolber tires and one pair of the same, extra, unused tires, original large front and rear carriers (racks), rear basket (handle damaged), and Carry More AM branded front bag, original mudguards (fenders), U-shaped rear frame finisher when rear rack is not installed, original and functional Bluemels alloy pump concealed in seat post, assembly instructions, and the original certificate of ownership/guarantee. 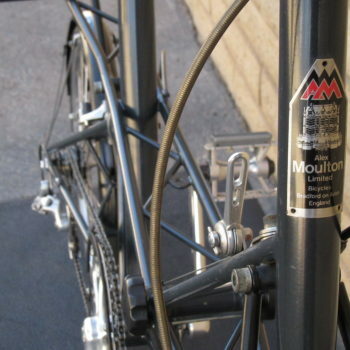 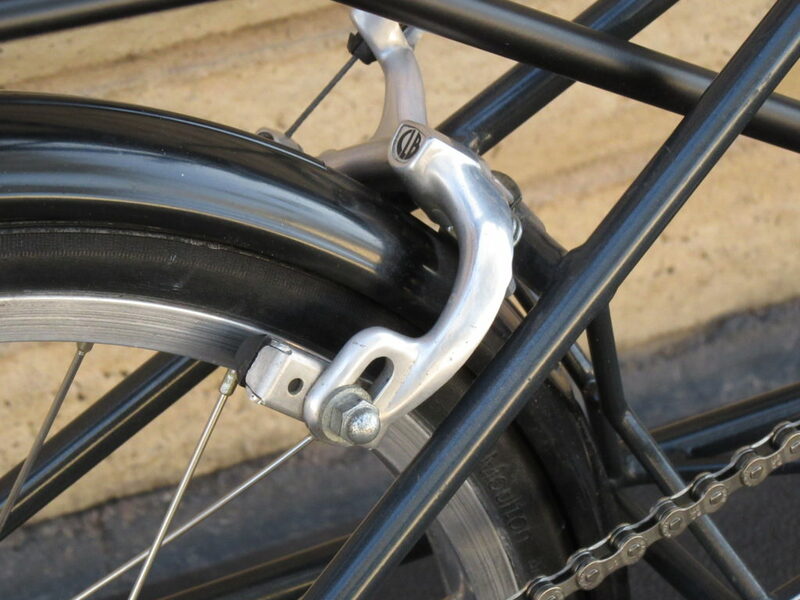 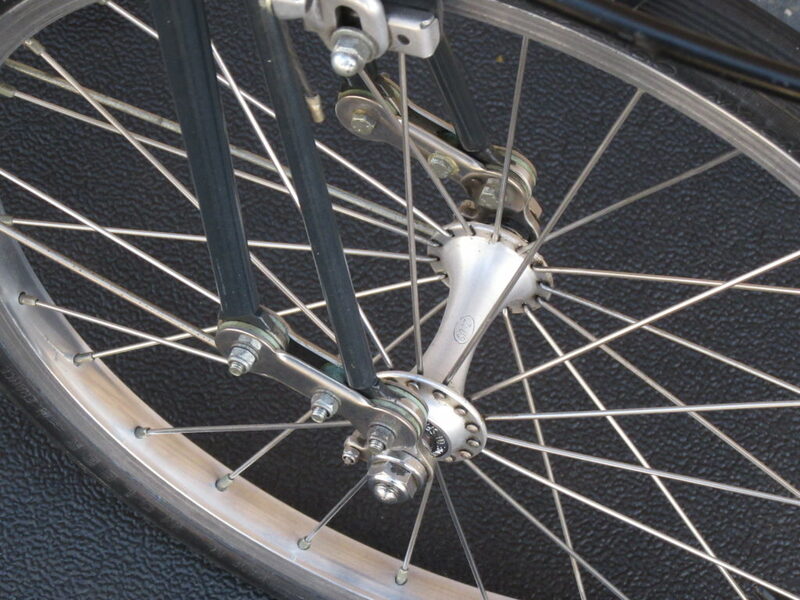 If you plan on riding this bike extensively, we suggest that the head spring and leading links be replaced with Moulton’s contemporary versions. 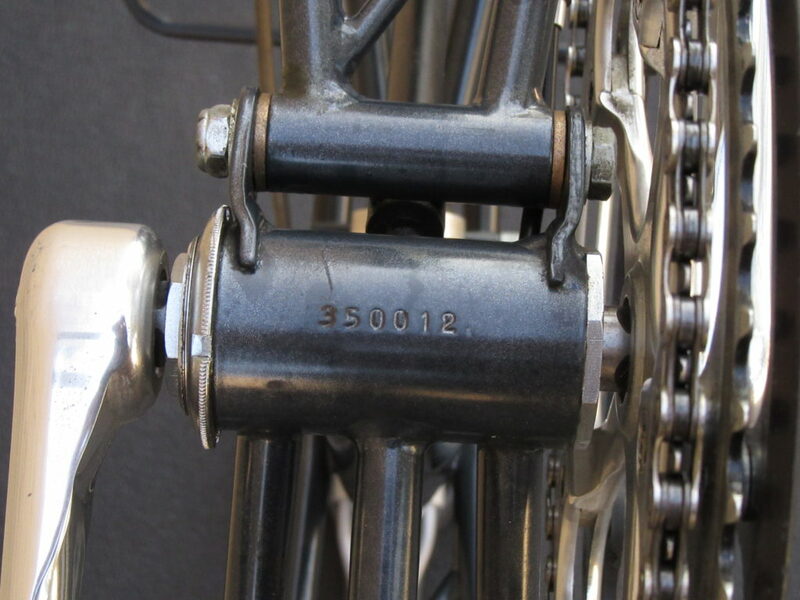 Call us at the shop for this change.